AMD’s Steamroller APU has been spotted listed under the Bionic research database by Dresdenboy. part of any of the upcoming Kaveri or Berlin server APU lineup by AMD. It is reported on his blog that the sample is probably part of the Kaveri APU lineup and is still in engineering phase featuring Steamroller cores. The Steamroller APU has an ES code of 2M186092H4467_23/18/12/05_1304 which reveals some rather interesting information. configured for the north-bridge. 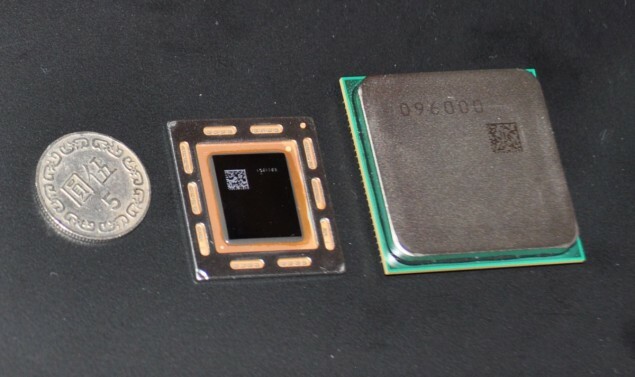 The graphics chip on the steamroller APU is clocked at 500 MHz and the part is known as the AMD1304.1 = “KV SPECTRE MOBILE 35W (1304) GPU which was revealed in the leaked catalyst drivers a few weeks back. Islands GPUs such as Hawaii here. APU for servers in Q1 2014.